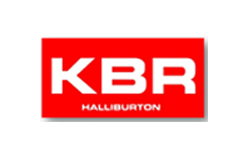 KBR, is an American engineering, procurement, and construction company, formerly a subsidiary of Halliburton. The company also has large offices in Arlington, Virginia, Birmingham, Alabama, and Newark, Delaware, in the United States and Leatherhead in the UK. After Halliburton acquired Dresser Industries in 1998, Dresser's engineering subsidiary, The M. W. Kellogg Co., was merged with Halliburton's construction subsidiary, Brown & Root, to form Kellogg Brown & Root. KBR and its predecessors have received many contracts with the U.S. military including during World War II, the Vietnam War, and the Iraq War. ​KBR, Inc. is a global technology, engineering, procurement and construction company serving the hydrocarbons and government services industries. For decades it has been the company that customers turn to for their most challenging assignments.